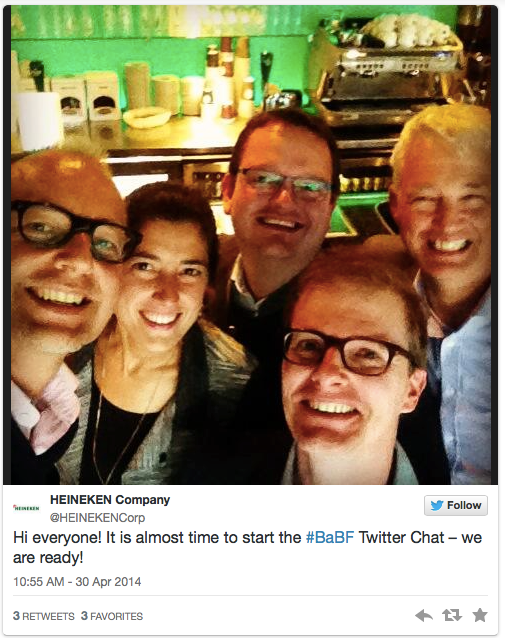 What are the critical points investors should know about this report? Researched by privately held swiss Bank Sarasin, the report illustrates the factors that are considered in a robust sustainable supply chain audit and offers best practices used by multinational companies in the textiles and electronics sectors in monitoring different tiers of suppliers. We focused on these two industries primarily because they have particularly long and complex supply chains, though there are variations even in these sectors. It also helps practitioners frame the business case for responsible supply chain management. What are the main contributing policies and standards highlighted by the report? Responsible supply chain management requires recognition of the relationship between environmental, social, legal and reputational risks and financial performance. Many more large textiles brands now require compliance with minimum labor standards and therefore conduct supplier audits. According to the Eurosif report, this has led to an improvement in issues such as child labor, forced labor, occupational health and safety. Most leading electronics companies have a Code of Conduct that is based upon the Electronics Industry Citizen Coalition (EICC) code, an industry initiative which is supporting positive changes on social and environmental issues. Legal restrictions such as the Dodd-Frank Act in the U.S. will demand that companies reveal the source of their minerals’ procurement to reduce the use of raw materials mined under primitive and hazardous conditions. The UN Human Rights Council endorsed the Guiding Principles on Business and Human Rights in June 2011, which define the responsibilities of companies to protect human rights in their operations and supply chains. Although it is not legally binding, the principles offer a clear direction for the future. Legal and quasi-legal pressures also affect environmental risks. Some substances are regulated and phased out by the EU Directive 2002/95/EC on the Restriction of the use of certain Hazardous Substances in Electrical and Electronic Equipment (RoHS). Similarly certain substances are under observation for future regulation in the frame of the EU regulation on Registration, Evaluation, Authorisation and Restriction of Chemicals (REACH). In 2011, the European Commission published the Roadmap to a Resource Efficient Europe, as one of the flagships of the Europe 2020 Strategy. A key element of the roadmap is the promotion of sustainable production by setting appropriate price signals and defining a common methodological approach to measure environmental performance (environmental footprints) of products and services. Consumer pressure is also a driver for positive change. The market for green, ethical and organic — organic cotton sales tripled in the last six years (Textilexchange, 2011) – products has grown rapidly in recent years and is projected to continue at this fast pace. What are some best practices on capacity building and supply chain monitoring standards revealed by the report? One of the biggest challenges is getting improvements along the supply chain from direct suppliers to raw material producers. Leading companies have a multi-stage process, starting with risk assessment to identify suppliers with a high exposure to labor and environmental issues, followed by self-assessments, and finally regular on-site audits at key supplier factories carried out by internal staff or external auditors. In the case of non-compliance findings, corrective action plans are defined. 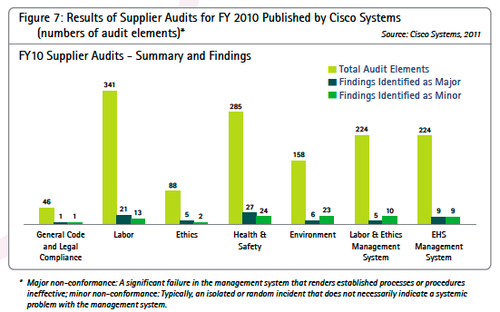 Some electronics companies like Hewlett-Packard or Cisco Systems publish the results of their audits. However, in general, transparency in the apparel and textile industry is more advanced than the electronics sector. There is an upward trend in companies reporting on audit results including non-compliance cases; some even disclose their suppliers. Leading sporting goods and retail companies have supplier performance measurement mechanisms that have been fully integrated into their supplier assessment and their order placements. Puma and Adidas Group are cited in the report as companies which are relatively transparent about their sustainable supply chain auditing. Collaborative and capacity building efforts are included in the sustainable supply chain audit. Leading apparel brands have been working together to improve labor standards in their supply chains. Examples include the Better Work partnership between the International Labor Organization (ILO) and the IFC and cooperation with the Fair Labor Association. Environmental projects are more focused on materials. Examples include the Leather Working Group and Better Cotton Initiatives. Other highlights that link sustainability and risk assessment? A loss of productivity led by supply chain disruptions affects revenue and increases costs. In a recent survey, 74 percent of surveyed companies agreed that outsourcing and just-in-time strategies were making their organizations more vulnerable to supply chain disruption. How does the report expand the dialogue on ethical sourcing and supply chain management? The report discusses supply chain management and sourcing materials from an investor’s perspective regarding environmental and labor issues in particular and their compliance with international laws, regulations and standards as mentioned above. 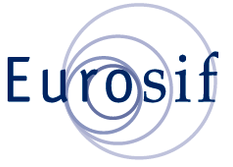 The sustainable supply chain audit is described in more detail in Eurosif’s Procurement Report, which can be downloaded from Eurosif.com [PDF]. Originally written for and published on CSRwire’s Commentary sectionTalkback on April 10, 2012. 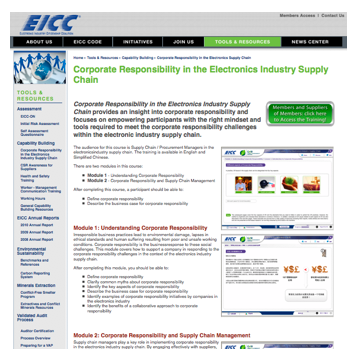 The Electronics Industry Citizenship Coalition (EICC) was formed in 2004 and incorporated in 2007 as a nonprofit industry trade group focused on the electronics sector. The aim: To help drive the industry collaboratively toward higher levels of socially responsible business practices. Recent U.S. laws and continued pressure from activists has pushed companies to focus on not only how they source their materials but also what they are doing to educate, empower and sustain their suppliers. For the electronics industry, this has become a major piece of work with conflict minerals and extractives playing a significant role. In a webinar I conducted with Best Buy last year on the release of their latest sustainability report, for example, several questions from the live audience targeted the electronics retailers’ complex supply chain. With ethics dilemmas aplenty and multifold regulations across regions, how is the industry coping with the pressure to improve its sourcing practices while continually pushing themselves to do better? John Gabriel, chairman of the EICC’s board of directors, will be joining Metalor Technologies, Research In Motion, Responsible Jewelry Association, the International Trade Centre, Chrysler and the CSR Group, in a workshop on Collaboration as an approach to Supply Chain Responsibility at the upcoming Ethical Sourcing Forum in New York City. We sat down for a chat. As corporate manager of IBM‘s supply chain social responsibility program – a position he has held since 2004 – Gabriel is no stranger to the complexities of auditing, discipline, sustainability and compliance. “The approach we have taken as an industry group [at the EICC] is to tackle this very challenging topic by engaging with a broad spectrum of our stakeholders directly,” he said. “Work began a number of years ago with the Global e-Sustainability Initiative (GeSI). We also engaged leading NGOs and researchers on the topic in order to begin the task of developing solutions to this very complex challenge,” he added. “We have developed a number of tools to help the process along including a smelter certification scheme and a due diligence survey application that enables companies to survey their suppliers for materiality knowledge” he continued. It’s, of course, easy to over simplify the complications – and the kind of progress needed across sectors – Gabriel is referring to. In fact, verification of entire supply chains to ensure they are completely free of conflict minerals will require not only exemplary leadership among the industry but, according to Gabriel, a significant amount of out of the box thinking. With the Dodd-Frank bill ensuring that supply chain reporting on Conflict Minerals becomes mandatory for companies required to file SEC disclosures, Gabriel believes coordination and collaboration is the best way forward on the path to demonstrate regulatory compliance. And this is what he hopes attendees at the upcoming Ethical Sourcing Forum can take back to their organizations. Originally written for and published on CSRwire’s Commentary sectionTalkback on March 28, 2012.